王卓越, 郑建, 杨宇星, 王法明. 2019. WANG Zhuo-Yue, ZHENG Jian, YANG Yu-Xing, WANG Fa-Ming. 2019. Oceanologia et Limnologia Sinica, 50(2): 237-247. WANG Zhuo-Yue, ZHENG Jian, YANG Yu-Xing, WANG Fa-Ming. 2019. 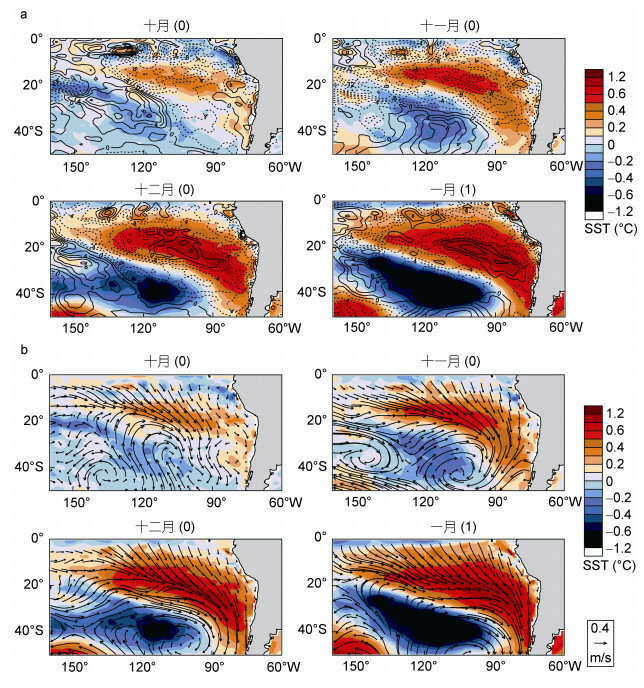 PERFORMANCE OF FIFTEEN CMIP5 MODELS ON THE SOUTH PACIFIC DIPOLE:COMPARISON AND COMMENT[J]. Oceanologia et Limnologia Sinica, 50(2): 237-247. 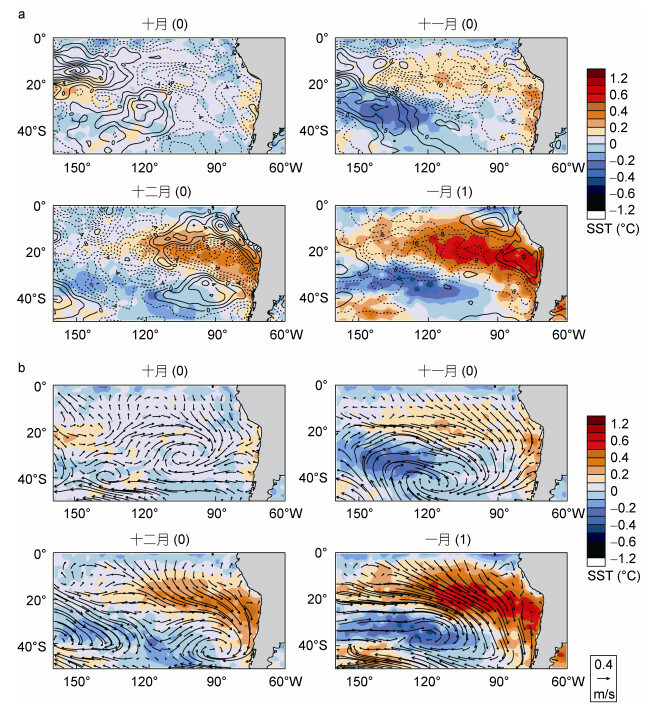 Abstract: We applied 15 CMIP5 (Coupled Model Intercomparison Project Phase 5) models to stimulate temporal and spatial distribution of the South Pacific Subtropical Dipole (SPSD), from which the performance of the 15 models were compared and scored. 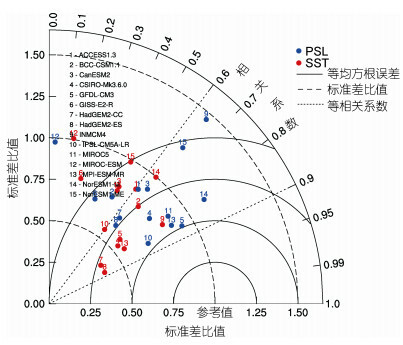 The results show that 10 of them could present a complete SPSD in development course, and the main areas of SPSD are similar to the observations. 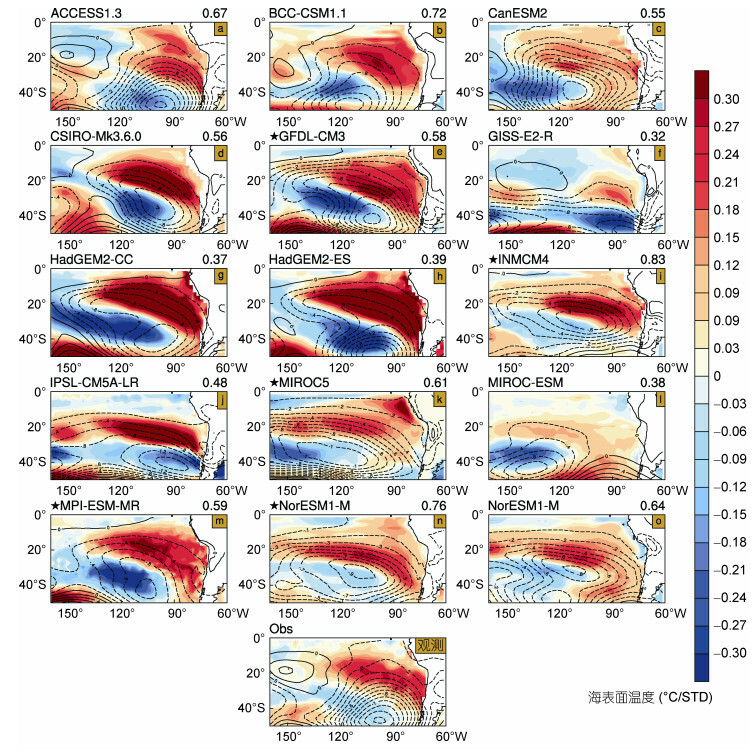 However, the rest 5 models showed large differences in the intensity and the position of observation of the SPSD. 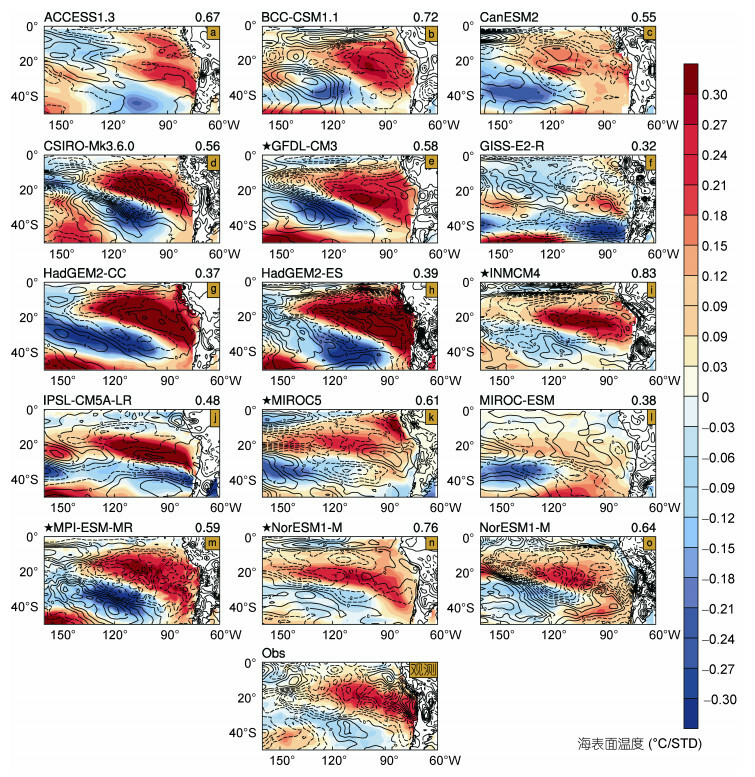 Most of the CMIP5 models showed a one-month lead to the observation result in the initial phase of SPSD, and about one third of the models could display the dipole anomaly of sea surface temperature 3-6 months in the past retroactively. 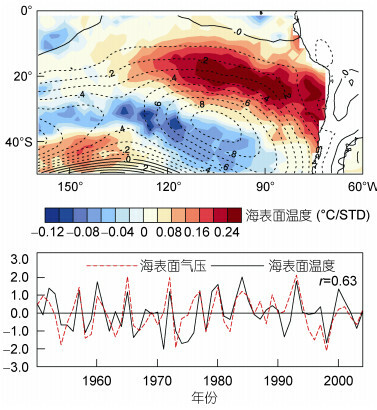 As shown in the temporal and spatial distribution, latent heat flux is the main factor affecting the development of SPSD under an atmospheric circulation anomaly. For the SPSD mature phase, some models could show a positive latent heat flux anomaly over the positive pole, indicating that the ocean would feedback to the atmospheric circulation in latent heat flux and form a negative feedback circulation. Therefore, these CMIP5 models perform better in sea-surface-temperature simulation than sea-surface-pressure simulation.